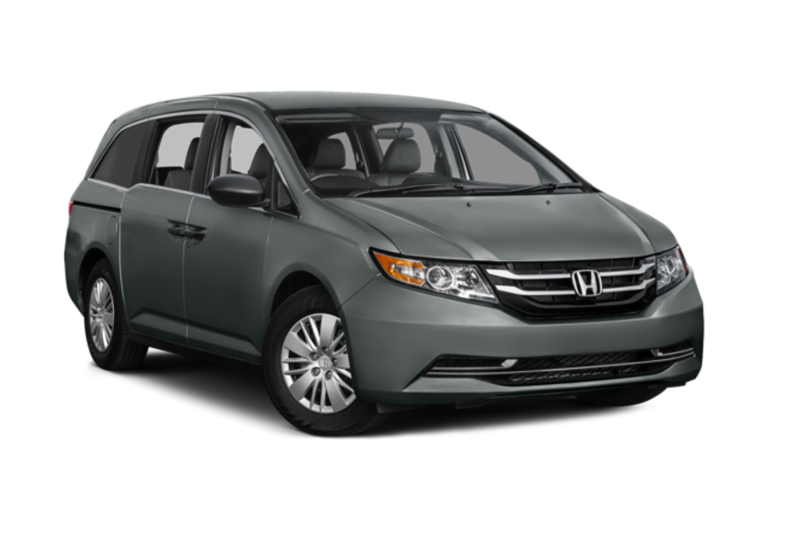 Minivans are becoming an essential part of family life for Middletown and Mechanicstown, NY drivers, so those comparing the 2015 Honda Odyssey with the 2015 Dodge Grand Caravan need to take numerous criteria into account. We’ve taken a look at both vehicles to see which one will suit your needs. LX: Starting at $28,975,* the entry-level LX is fitted with premium features such as an i-MID system with eight-inch high-resolution display, Bluetooth HandsFreeLink, and even a text-message function. EX: Starting at $32,275,* the EX keeps you comfortable with tri-zone automatic climate control, while Honda LaneWatch keeps you safe. Touring Elite: Starting at $44,600,* the Touring Elite receives a generous suite of features, including a 650-W premium audio system and a rear DVD entertainment system. American Value Package: For a minimum of $21,395, you’ll receive a basic model lacking typical standard technology. SE: Starting at $24,195, the SE includes front and rear air conditioning. SE Plus: Starting at $24,995, the SE Plus comes with a one-year subscription to SiriusXM. SXT: Starting at $27,295, this model provides a bit more comfort, with cloth-faced bucket seats. SXT Plus: For $28,095, the SXT is the first model that comes with the Uconnect Handsfree Package, which includes Bluetooth streaming audio. R/T: Starting at $29,995, the Grand Caravan’s top-of-the-line model comes with an electronic vehicle information center and three-zone automatic climate control. 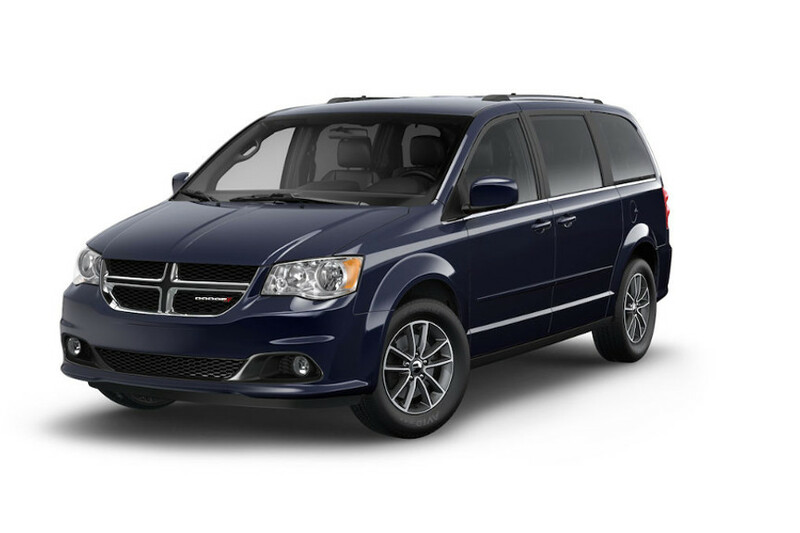 Dodge Power and Efficiency: The Grand Caravan provides slightly more power, but falls behind in terms of fuel economy. Using a 3.6L V6 and six-speed automatic transmission, drivers will only get 17 mpg in the city and 25 on the highway. The cabin of the 2015 Honda Odyssey is both larger and better-equipped than that of the 2015 Dodge Caravan.With over 10 more cubic feet of passenger volume, there’s a noticeably greater level of room for all occupants to spread out and relax, but that doesn’t come at the cost of cargo capacity. 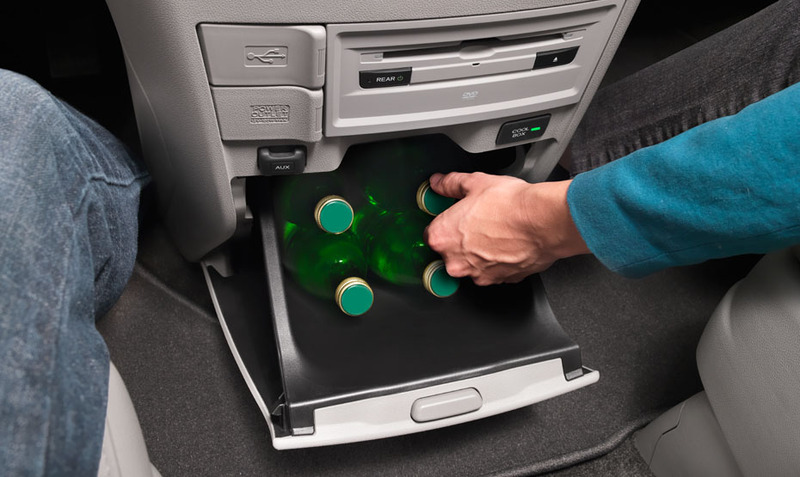 The Odyssey provides Mechanicstown drivers with 38.4 cubic feet od dedicated cargo space behind the third-row seats, whereas the Grand Caravan can provide only 33 cubic feet. Even with all seats folded down for maximum cargo volume, you’ll receive more with the Odyssey. This space is complemented by a high standard of technology. Included in all 2015 Odyssey trims, you’ll find heated rear seats, air conditioning, and a power driver’s seat with adjustable height. Optional packages allow Middletown and Mechanicstown families to customize their vehicle to their needs, so Honda has made several available for the 2015 Odyssey. Planning to take your minivan on lots of journeys to new areas? Try adding the Honda satellite-linked navigation system. Need to keep the kids entertained during long trips? 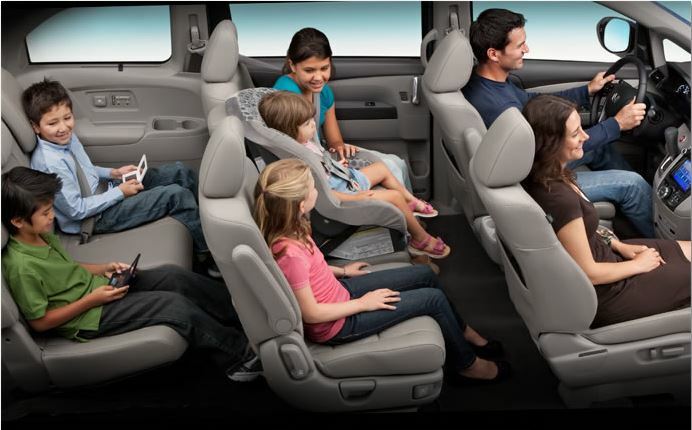 Take advantage of the rear DVD system.The 2015 Honda Odyssey is even available with the first in-vehicle vacuum system. The HondaVAC is fully integrated into the cargo area, but pops out easily to get your vehicle clean in seconds. 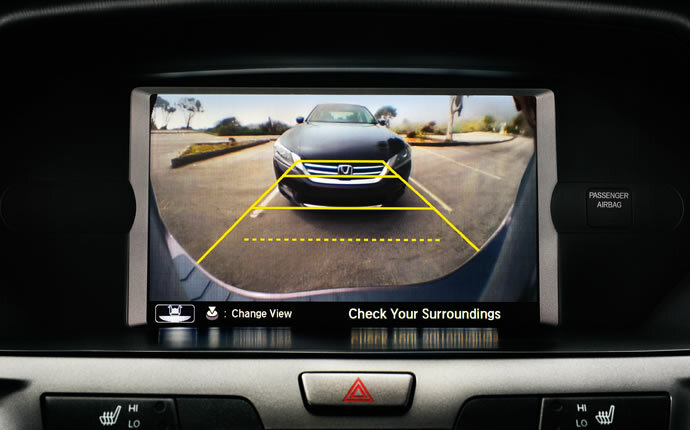 The 2015 Dodge Caravan completely lacks the sophisticated safety systems available with the 2015 Honda Odyssey.These pieces of high-end technology have been fitted to ensure that you and your family are as fully protected as possible, and include Forward Collision Warning and Lane Departure Warning systems. Each Odyssey is even provided with a rearview camera as standard — a feature reserved for only the most expensive Grand Caravan trims. 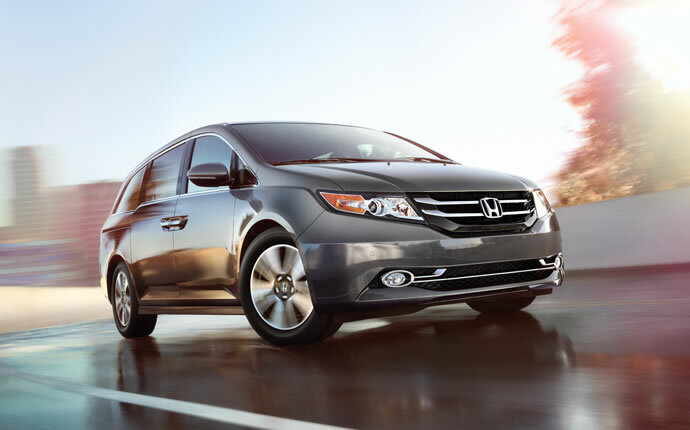 With these features, as well as the strong construction of the body itself, it’s no wonder that the 2015 Honda Odyssey was given a five-star safety rating by the NHTSA. Mechanicstown drivers will find that the 2015 Honda Odyssey offers far more than competitors like the 2015 Dodge Caravan, and it’s available now from Middletown Honda in NY. ** 19 city/28 highway/22 combined mpg rating. Based on 2015 EPA mileage ratings. Use for comparison purposes only. Your mileage will vary depending on how you drive and maintain your vehicle.